If you're looking for a convenient way to promote your business, our logo products are the way to go. Choose from an amazing selection of specialty items designed to draw attention to your company logo. 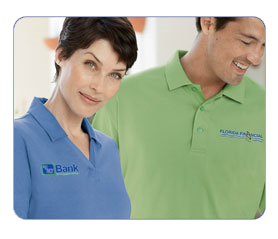 We offer a wide assortment of budget-friendly items ready to be emblazoned with your corporate logo. From lanyards to lip balm, choose the most effective marketing medium for your business. With over 800,000 logo products, the possibilities are endless. Whatever your industry, our incredible array of logo products from over 5000 manufacturers makes customization a snap. A simple tote bag or baseball cap can be a great way to get your name out there. 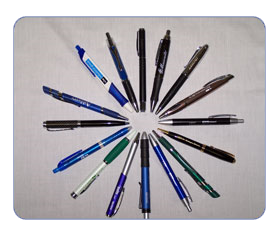 However, your potential and existing customers will also appreciate sophisticated items tailored to your line of work. 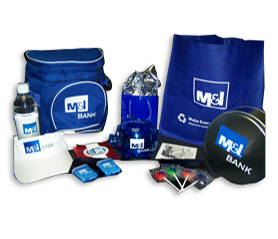 Specialty logo promotional products are ideal for trade shows and seasonal events. Corporate gift recipients are sure to remember a luscious gourmet chocolate basket, and corporate event attendees will think you spent 5-times more on hats with 3-D embroidery! Logo products are ideal for keeping your name in customers' minds, but they can also make your employees your best walking advertisements. From high-quality uniform garments to name brand polo shirts that your employees will love to wear, we let you inject a little fun into the workday while increasing your business brand exposure. In addition to offering an astounding assortment of items, we make choosing the perfect logo promotional products easy so you can get on with your busy day. We give you plenty of self-search options to get you on your way. Find just what you're looking for using the search filter that suits you best. If you're on a budget, search by price. Have a specific color in mind? We make finding the perfect hue simple. Or if you already know what logo promotional products you want, filter your search by category. Do you have some ideas but need to narrow your search? Keywords will guide you to the items you want. Our site even offers theme stores highlighting our customers' top picks for the month. The rotating items in these stores let you go directly to the logo products you seek. If your company is eco-friendly, or wants to be, check out our Green store. Or try our Made in the USA store to support domestic companies. Are you looking for an unbelievable deal on logo promotional products? See our Under $1.00 store. As vital as logo products are to your business, we know you don't want to spend more time or money than necessary. That's why we strive to simplify the process of promoting your company while getting the best value for your marketing dollar.